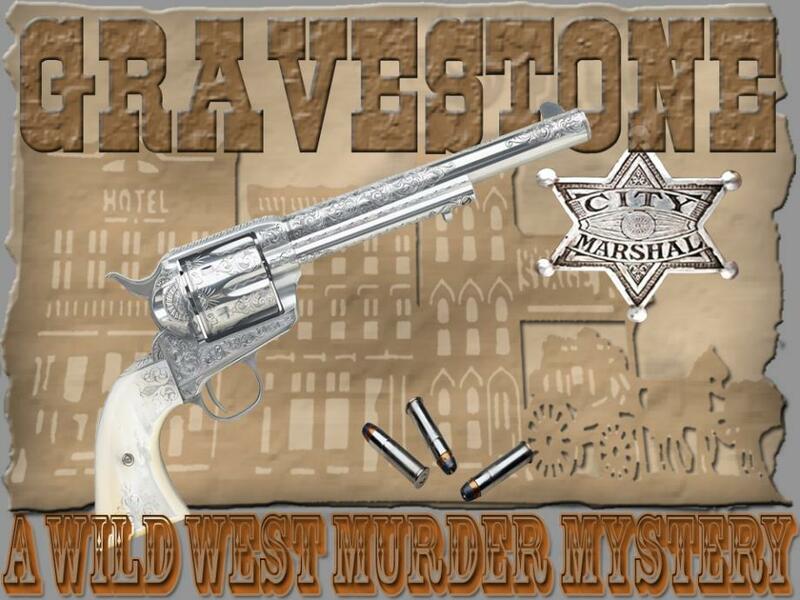 Wylie Arp, the sheriff of Duck City, Kansas, left his career as a lawman and traveled west to Gravestone with his brothers and friends. He planned to sink his life savings into a business and live the rest of his days free from the stress of law enforcement. Little did he know what awaited him. During a town dinner, a reward poster surfaced with rumors of codes hidden around town leading to a hidden treasure. One of the townspeople was found murdered in cold blood and the townsfolk rallied together to figure out whodunit and a grueling investigation ensued. Over coffee and dessert, the suspects come clean with their involvement with the crime and to everyone’s shock…the murderer confessed! Overall, it is a night to be remembered by all.